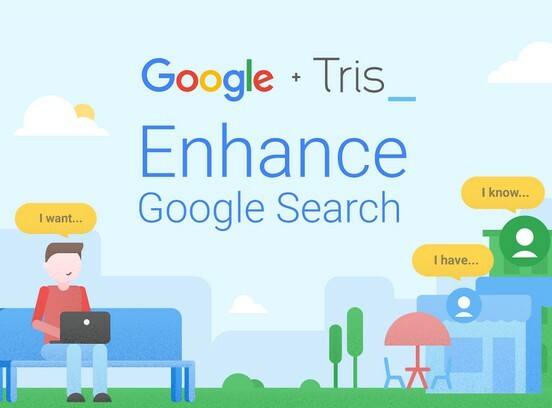 Tris EXTENSION IS NEW, Now you can connect with Tris millions of desktop users via this brand new widget. 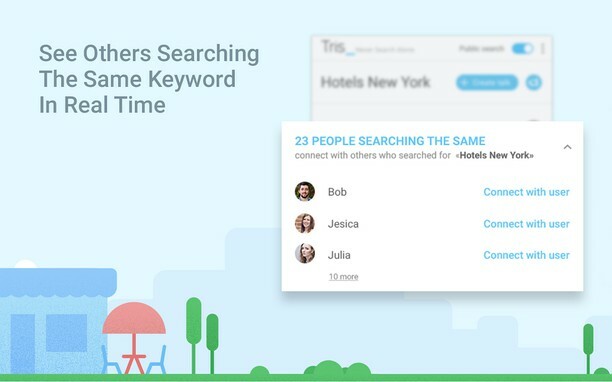 Although the extension is new, tris.com has been around for over a year and is one of the fastest growing search and chat networks, with millions of page views per hour. 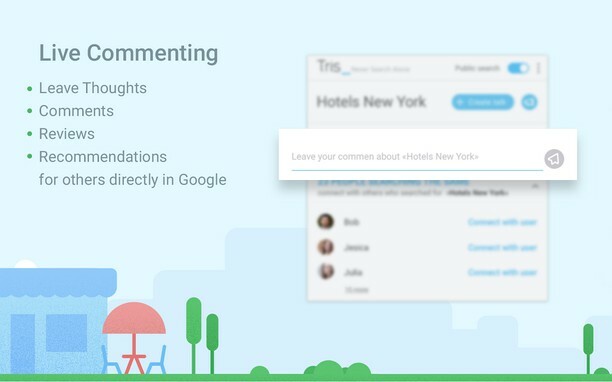 -Live commenting directly in widget, share your thoughts and watch your comment appear in real time on your computer as well millions of others searching the same keyword.